Welcome to the newest edition of the Choose Your Own Black and White Printables series. For those just joining us here’s the run down. Every week or two, I’m sharing black and versions of existing printables. The series will run until the requests stop coming in or I run out of printables to convert. If there is a printable (or many printables) that you’d love to have a black and white version of, just click the link above to fill out the form and submit your request. Today I’m adding the Healthy Habits Trackers to the collection. Building healthy habits is a goal many people have. Speaking personally, I know there are a number of healthy goals I want to work towards. These healthy habits trackers are designed to just track the basics – water consumption, exercise, and meals and snacks. I’m sure there are a number of other things one could track for their health, but I wasn’t sure what else I should include. When it doubt, keep it simple right? Above is the full size version. As you can see, I kept them really simple. There are two days worth of trackers per page. I felt that this layout offered enough room to record what you needed without wasting any space. 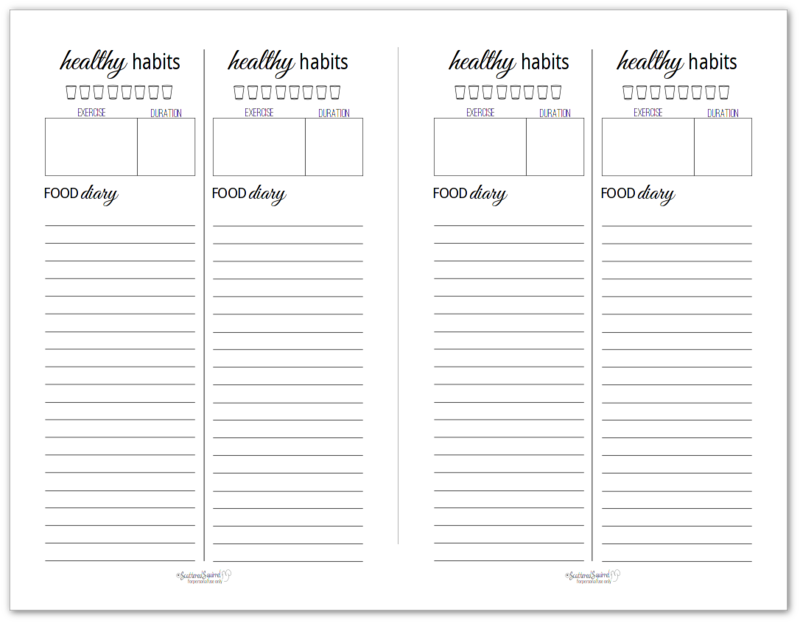 The half-size healthy habits trackers are laid out in the same way. Though there is a little less writing room on these pages, I still thought it was workable to fit two days on each half page. This is the size I use for my own, and so far I’ve found them to be roomy enough to record everything. You can find the colour healthy habits planner here. 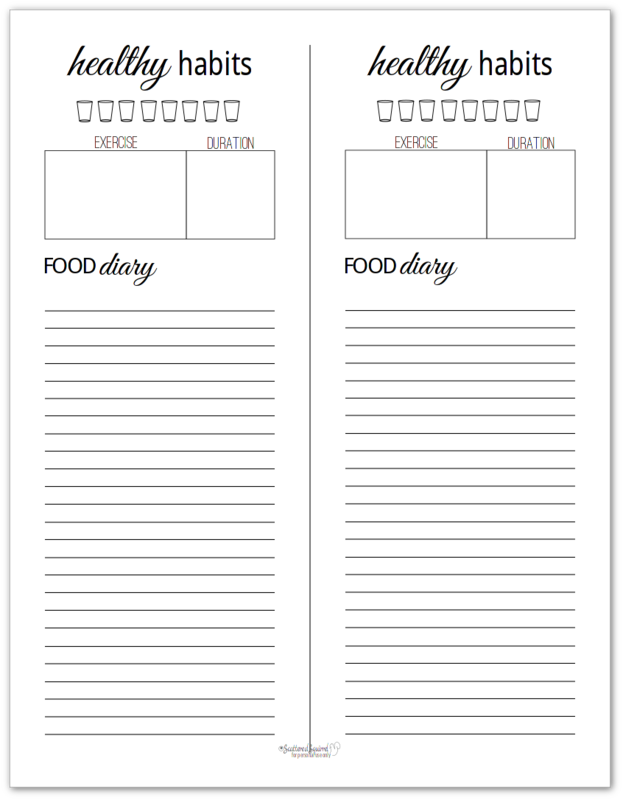 I’ve been wanting to add more personal size printables to the printables library and the healthy habits trackers seemed like a good one to add. The only change made for the personal size was to make each page a daily tracker, instead of two days per page. Living a more healthy lifestyle can take dedication and hard work. In some ways it seems a very simple goal, but simple doesn’t always mean easy. 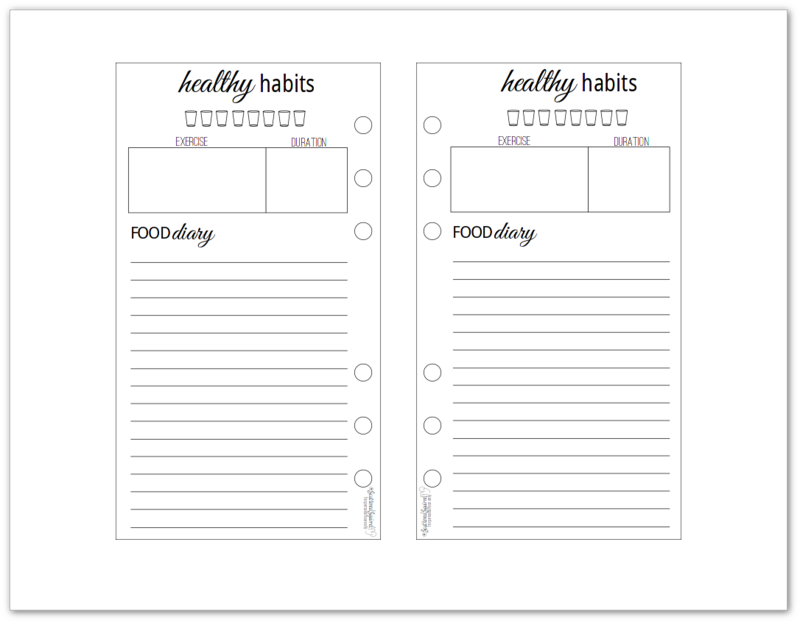 Having printables like the healthy habits trackers on hand can really help by offering up a place to be accountable. And on days when you feel like you’re just not doing enough, you can flip back and see just how far you’ve come. In the coming weeks I’ll be sharing more health/medical related printables like these ones and the vision care tracker. I know that there are many different things that people need to track for their health, so if there is a printable you would like to see included in this section, please get in touch and let me know. I’ll try to honor as many reader requests as I can. This is the portion of the post where I turn the table over to you! 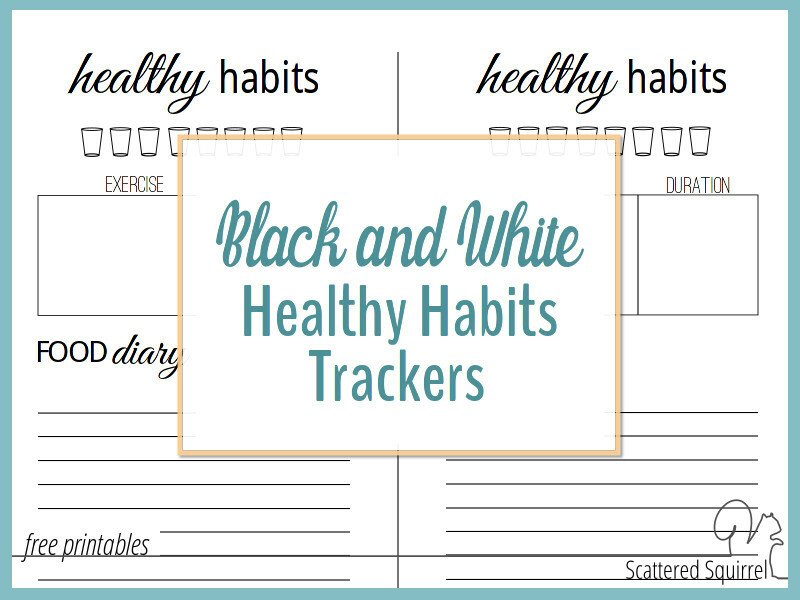 Do you think these healthy habits trackers will be helpful for you? Do you use something different to track your health goals? Chime in the comments below and share your thoughts. I love seeing the printables in action! If you share a picture of the printables you use on social media, you can use the hashtag #scatteredsquirrelprintables and I’ll be sure to see it!